Fermi surface database in 3D using VRML. 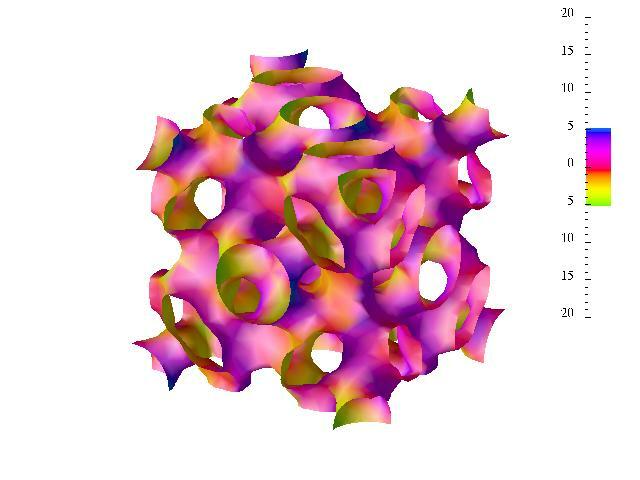 Fermi surface of 45 elemental solids from Lithium to Thorium. For each element, the VRML and stereographic pictures of the Fermi surfaces are provided. To enter the database, please go to http://www.phys.ufl.edu/fermisurface . This site has been superceded by the new and permanent site : http://www.phys.ufl.edu/fermisurface . 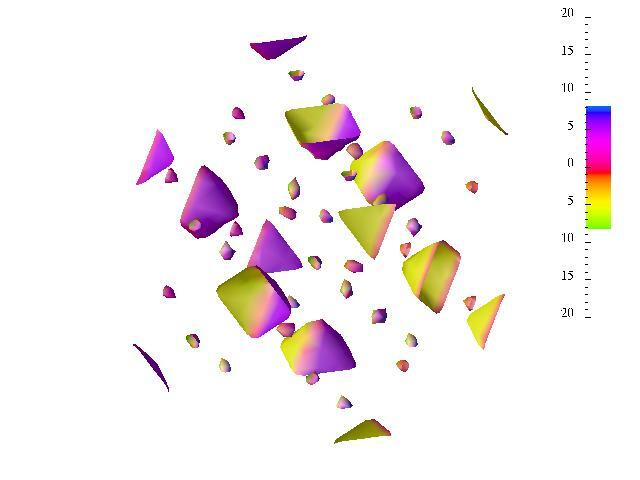 The new site has VRML fermi surfaces of most elemental solids. Welcome to the 3D Fermi Surface Site! Here, you'll be able to study the Fermi surfaces as if you're holding them! You'll need a VRML 2.0 browser/plugin. Many VRML plug-ins are freely available on the web. If you can't get one, you can still see the pictures of the Fermi surfaces. 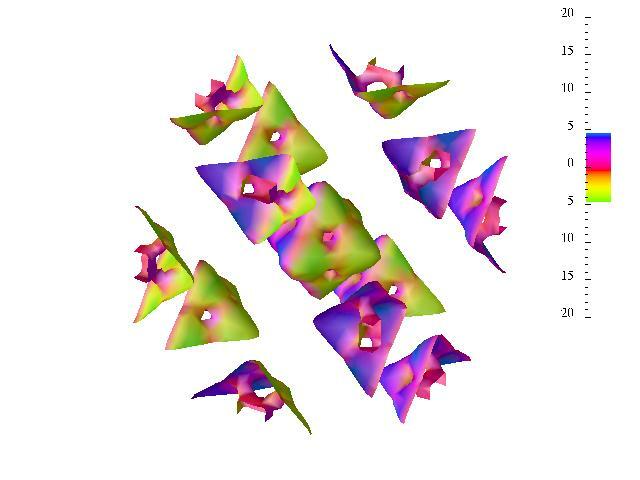 Note: VRML Fermi surface for hcp structures are not available, but all GIF's are fine. Work to be done : (1) Use BZ grid instead of square grid. (2) Include DX program and data files. Credicts : Jian Chen, Tat-Sang Choy and Selman Hershfield. Download them all! jpeg, VRML. Last update : 27th May, 1998.